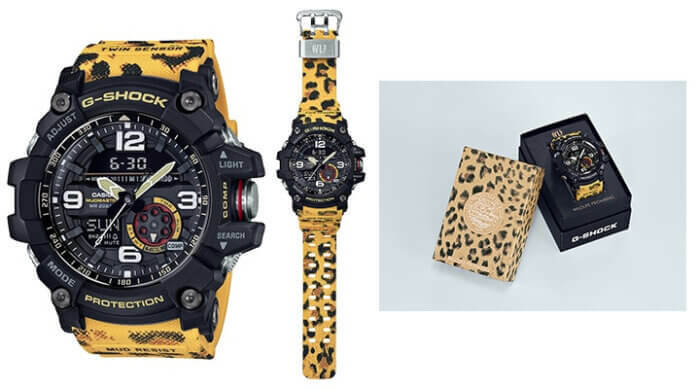 The Love The Sea And The Earth 2019 series is a collaboration with non-profit organization Wildlife Promising and includes two G-Shock watches (GG-1000WLP Mudmaster, GR-B100WLP Gravitymaster) and one Baby-G watch (BA-255WLP) inspired by three wild animal species found in Africa. Wildlife Promising seeks to create a better living environment for both wild animals and humans and carries out social action and conservation efforts based on academic research. 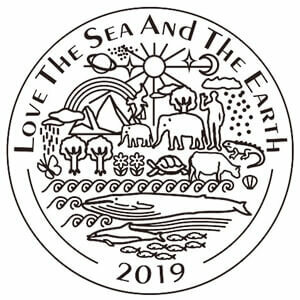 Each watch features a special “Love The Sea And The Earth 2019” engraved case back and comes in special packaging designed for each animal. All three models have been announced for Japan as well as the rest of Asia. 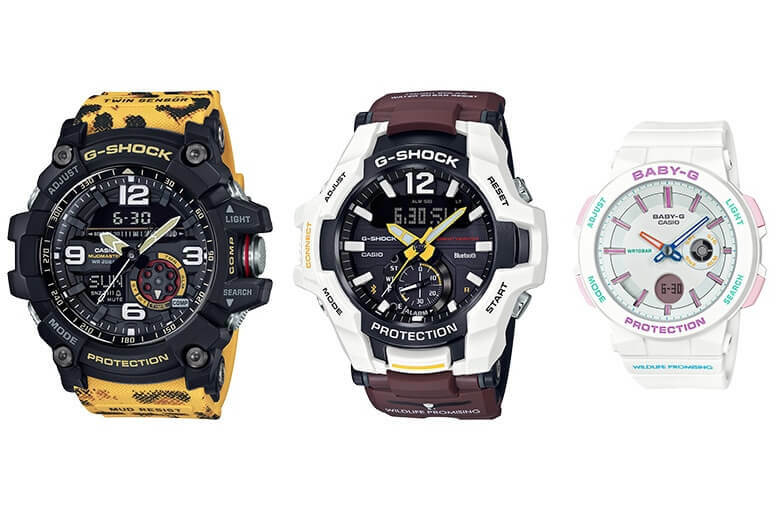 The GG-1000WLP-1AJR (list price ¥42,500 JPY), GR-B100WLP-7AJR (¥43,000 JPY), and BA-255WLP-7AJR (¥15,000 JPY) will be released on 15 February 2018 in Japan. 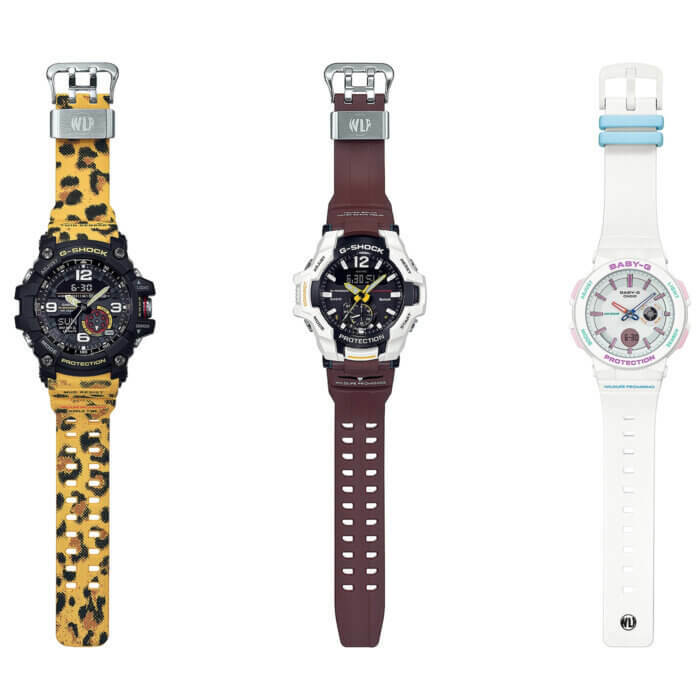 Update: The GG-1000WLP-1A, GR-B100WLP-7A, and BA-255WLP-7A are February 2019 releases in Asia. The G-Shock GG-1000WLP-1A Mudmaster is based on the leopard, an animal that rules over much of the land in Africa. The watch has a black case and a yellow band with a black and brown leopard print and includes a stainless steel strap keeper with a WLP logo. The GG-1000 base is a popular analog-digital line featuring mud resistance and the Twin Sensor with compass and thermometer. 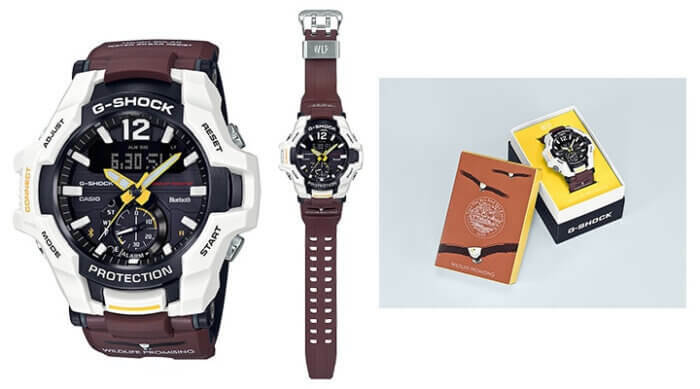 The G-Shock GR-B100WLP-7A Gravitymaster is based on the African fish eagle and has a black and white case, yellow hands, brown bands, and a stainless steel strap keeper. The GR-B100 base is an aviation model featuring Tough Solar power, Bluetooth mobile link, and an STN LCD display. 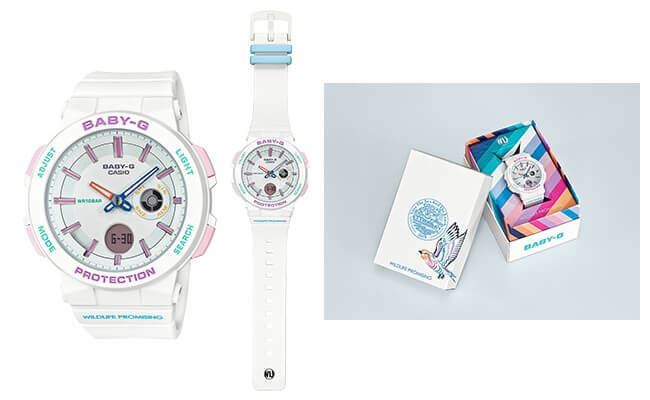 The Baby-G BA-255WLP-7A is based on the lilac-breasted roller, a bird with a plumage of 14 different colors. The watch has a white case and bands with accents of all 14 colors placed across the index, hands, strap keeper, buttons, and logo. When the Neon Illuminator blacklight LED is activated, the hands glow pink and green. 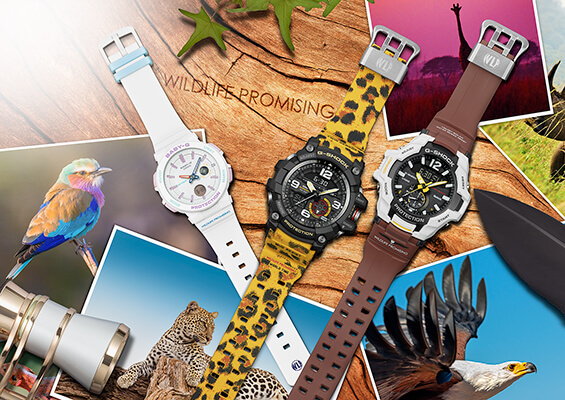 The base model appears to be the same as the BGA-255 which features 100-meter water resistance and world time.